PAUL SMITH aims to tick off two of the key areas to improve Bromsgrove Sporting’s title credentials by recruiting hot-shot Tony Clarke and defensive prospect Joe Haines. Smith is confident prolific striker Clarke and left-back Haines will switch from Midland League Division One rivals Lichfield City. Discussions have been positive and Smith hopes to finalise deals in the next few days before pre-season training starts on June 23. The Sporting boss is also in talks with another half-a-dozen players, though he expects to lose attacking midfielder Reece Hewitt, who seems set to join Redditch United. The Reds are also understood to be interested in midfielder Liam Spink. Smith says the capture of Clarke would add much-need firepower to the Sporting ranks, with the striker having netted 80 goals in the past two seasons. “I’m hopeful we will get Tony on board. If we do, it will be a huge plus for us,” said Smith. 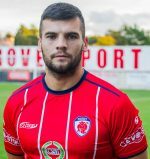 “He scored 40 goals for Lichfield last season and got 40 goals for Cadbury Athletic the year before so he will provide the goalscoring threat we need. “Last season, anybody who watched us regularly will vouch for the fact that we did not score enough goals. The ratio of converting the chances we created into goals wasn’t good enough. Smith also predicts a sparkling future for Haines, who will solve the problem at left-back or left wing-back. “We had to use square pegs in round holes last season at left-back, but Joe was the best left-back I saw in the league,” said Smith. Smith confirmed the bulk of the squad which finished league runners-up will remain at the Victoria Ground, with Brain, Simon Fitter, Aaron Roberts, Jake Wilcox, Will Tibbetts and Nathan Walker following Chris Jay, Dale Edwards and Craig Jones agreeing to stay. But Hewitt seems to be heading to Redditch, with the Sporting boss wishing him all the best. Hewitt has been on the wanted list of several clubs in the past few seasons but couldn’t make the step up because of his work situation but that has now changed and Smith says he can understand why he wants to test himself three levels higher. “Reece has been fantastic for me and he deserves his chance to go and play higher,” said Smith. “Ability-wise, he is more than good enough and with his work situation changing he can make that extra commitment. Smith has completed his backroom staff by confirming defender Brendan Kelly will be player-assistant manager alongside Adam Cunningham. Richard Stone also comes in as goalkeeper coach. 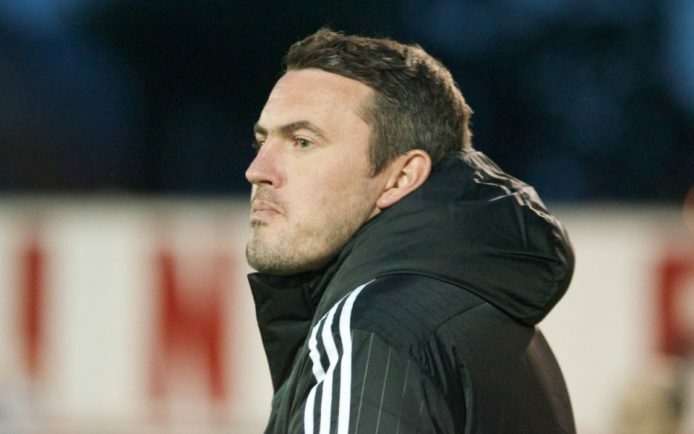 The 35-year-old Kelly, whose CV includes spells at Halesowen Town and Alvechurch, will continue as a player but have more of a focus off-the-pitch, working with Cunningham after the exits of Martin Sockett and Nick Smith. “Brendan is of an age now where he is looking at management and coaching,” said the manager.